Yesterday I decided it was about time to install the dripline/sprinkler system that I purchased earlier this spring. I figured it would take me a few days to install, but it was so easy to install I had it installed in one afternoon. 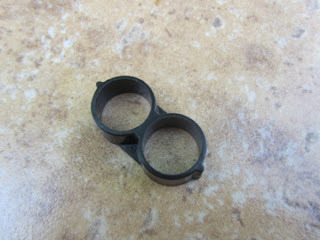 I am not mechanically inclined, so if I can do this I'm guessing just about anyone can. 1 Timer (optional) so I can set my dripline sprinkler to automatically water at certain times (daily, weekly, every 2 days, etc). Shovel (optional - I buried my hose in certain areas). Place mainline tubing in sun for a few minutes, this make it easier to unroll. 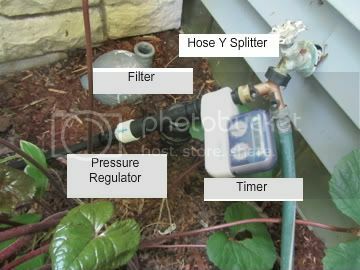 Hook up hose y splitter, timer (optional), filter, female hose beginning, and pressure regulator onto faucet. 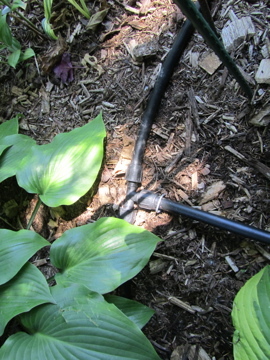 Connect mainline tubing to the female hose beginning. 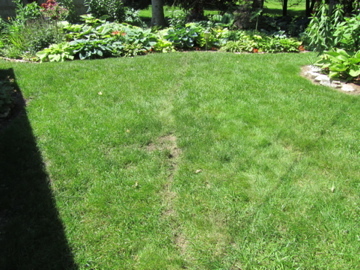 This is where I buried my tubing underground until it reached the garden, but this is also an optional step. 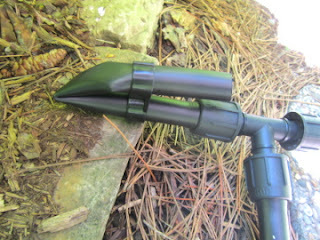 Run hosing to where you need it and stake down using wire holds. If you need to run in various directions you will need to split the hose using some easy loc T's like pictured below. 8. 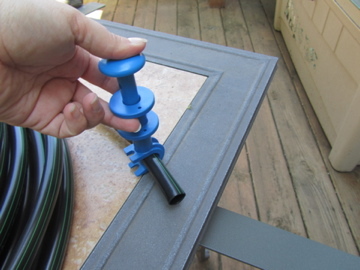 Decide where you would like to place your sprinklers. 10. 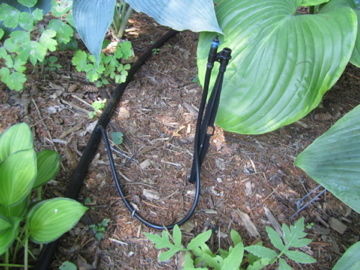 Use the Figure 8 End to the end of any mainline tubing. Slide on Figure 8 end about 8 inches, fold tubing in half, and insert other end into Figure 8 End (see below). It's really that easy! 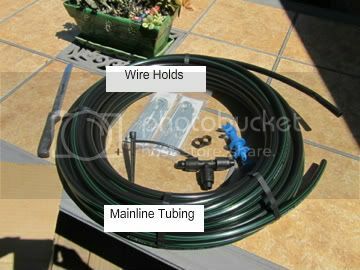 I found the mainline tubing at my local hardware store, but most of the other parts I purchased from Dripworks. I highly recommend Dripworks, as they have kits that include everything you need and they are inexpensive. They also have great video tutorials on their page. Good post . I have been wanting to do this . Sweet, now you can come install mine!